Xiaomi is bringing out the big guns with the upcoming release of the high-end Mi Note 2 phablet. The latest leak suggests that it’ll come with dual curved edges on the front and rear, along with a dual camera setup. Read below for Xiaomi Mi Note 2 price, release date, specs and features we know so far. 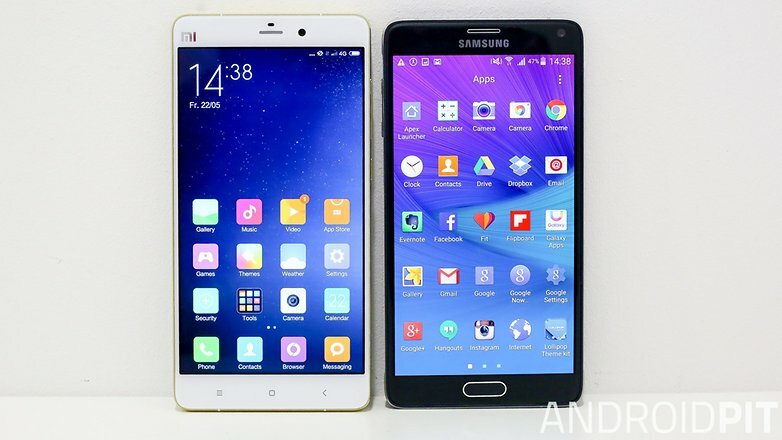 Xiaomi made a surprising start to 2015 with the Mi Note and Mi Note Pro. The latter device, in particular, sparked interest as it was one of the first smartphones announced with Qualcomm’s Snapdragon 810 processor. The 5.7-inch phablet had impressive hardware and its stylish design capped off the package nicely. More than a year has passed since the Mi Note Pro and its offshoots were presented. Generally, smartphone cycles work on shorter timescales than this but, if you believe recent rumors, then an update to the Mi Note series is imminent. A rumor earlier this month suggested the Xiaomi Mi Note 2 release date to be around the corner.GizmoChina reported that Xiaomi is likely to announce the device on July 25, but the passing of time has proven that rumor false. A more recent rumor has placed the launch in August, the same month heavily rumored earlier this year. The speculation was picked up by Gizmochina, and comes courtesy of Pan Jiutang, a well-known Chinese analyst. Rumors aside, we should expect to hear something official from Xiaomi soon. Although early rumors originally had the Xiaomi Mi Note 2 price pegged at 2,999 Yuan, the GizmoChinaarticle we linked above suggested it’ll cost even less, at 2,499 Yuan, which works out to roughly $375. How much the Pro version will cost is, as of yet, unknown. However, you can expect it to be aggressively priced. Whether Xiaomi will officially offer the second generation Mi Note outside of China is also unknown. But it’s safe to assume that both versions will eventually make their way over to US shores with or without an official release. Xiaomi reportedly has two versions of the refreshed Mi Note in store for us: a normal version, called the Mi Note 2, and a more powerful version, called the Mi Note 2 Pro. Let’s first take a look at the standard Mi Note 2. The lower-end version will be equipped with the Snapdragon 820 processor, 4 GB of RAM and 32 GB of internal memory, mirroring what we’ve seen so far this year in the Mi 5 and LG G5. The similarities between the two versions are limited to the display size (5.7 inches), resolution (2,560 x 1,440 pixels), the built-in battery (3,600 mAh) and the cameras. Both versions will be equipped with a 16 MP rear camera with a Sony image sensor (IMX 295), and an optical image stabilizer. The front-facing camera is said to come in at 5 MP. The Pro version is where the real innovation takes place. According to Chinese analyst Pan Jiutang, Xiaomi is reserving a higher-clocked Snapdragon 820 for the Mi Note 2 Pro, which it’s calling the Snapdragon 823. In addition to the faster processor, the Mi Note 2 Pro should also come carrying more memory. The buzz is that it might have 6 GB of RAM on board and a colossal 256 GB of internal memory. With this equipment, the Xiaomi Mi Note 2 Pro could tackle the smartphone elites, such as the Samsung Galaxy S7 Edge and LG G5. We previously saw reports suggesting that some Chinese manufacturers would be releasing phones featuring curved displays similar to the Galaxy Edge series. Xiaomi was one of the rumored manufacturers and new leaked renders suggest that this could be the case with the Mi Note 2. As you can see in the renders below, which were posted on Android Pure, the Mi Note 2 could have curves on the front and rear edges, just like those in the Galaxy S and Galaxy Note series of this year. As you can also see in the left-hand render, the Mi Note 2 could have a dual camera setup like other phones released this year, such as the Huawei P9. The render below shows a closer view of how the edges might look on the Mi Note 2. It features curves on the front edges and look almost identical to the Galaxy Note 7. There are also curves on the rear which would allow for a comfortable fit in the hand. Aside from regular hardware buttons on the left edge, there is a headphone jack and microphone on the top of the device. We’ve also seen other renders which show the Mi Note 2 sporting a USB Type-C port.